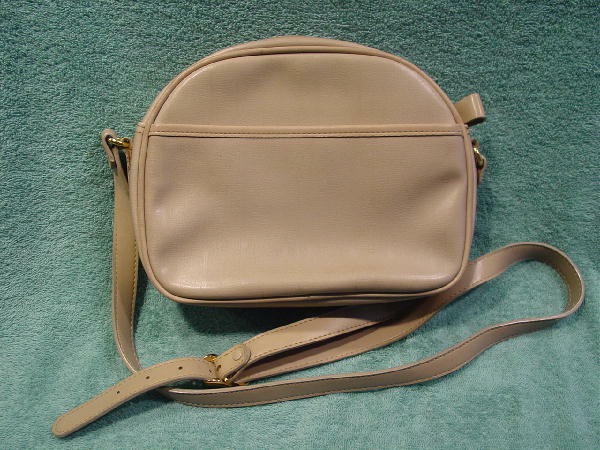 This faux leather purse is by Etienne Aigner. It's in a light sandy-wheat color. It has a tone-on-tone vertical line pattern with periodic logo A's. 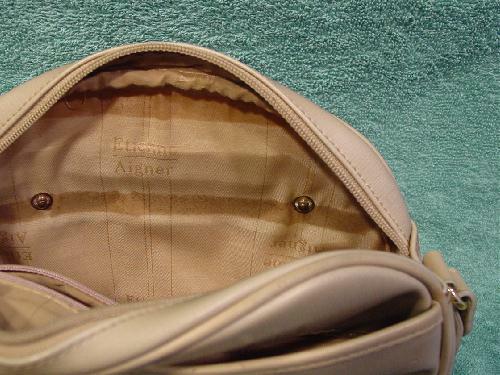 There is a sandy fabric lining with Etienne Aigner in larger letters. It has a large zippered pocket. The front interior lining has a horizontal dark area by the brads. The exterior back has a lined open section. The front exterior has a compartment with a snap closure under the flap. 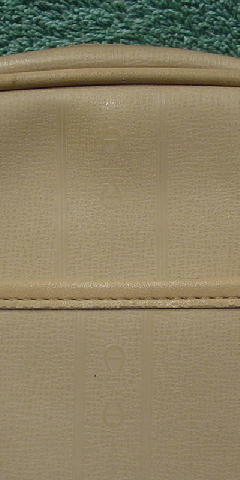 The exterior of the flap has a gold-tone metal A. The top has a side to side zipper with a faux leather pull. 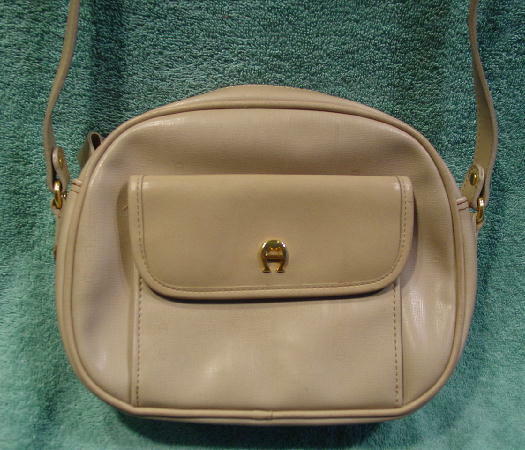 It has a 54 3/4" long by 3/4" wide adjustable shoulder strap.